The Minister of Works, Power and Housing, Mr Babatunde Fashola and his Labour and Productivity counterpart, Dr Chris Ngige, are on campaign. They are working hard to sell the candidature of their principal, General Muhammadu Buhari, who is bidding for a second term in office. The two ministers are aware that the rating of the president by Nigerians and the outside world is dismal. The president who rode to power on the wings of populism has, most shockingly, frittered away all the goodwill that he once enjoyed. And this has made it an uphill task for anybody, including the two ministers, to sell his candidature. Regardless of his poor showing, the president is insisting that he wants to remain in office for another term. He wants Nigerians to turn a blind eye to his enormous failings and vote him in again. That, we know, is a tall order. But the president, of course, has the right to aspire. And he is doing just that. But he cannot do it alone. His lieutenants, especially those who are benefitting from his misrule, have filed out to make a case for their master. 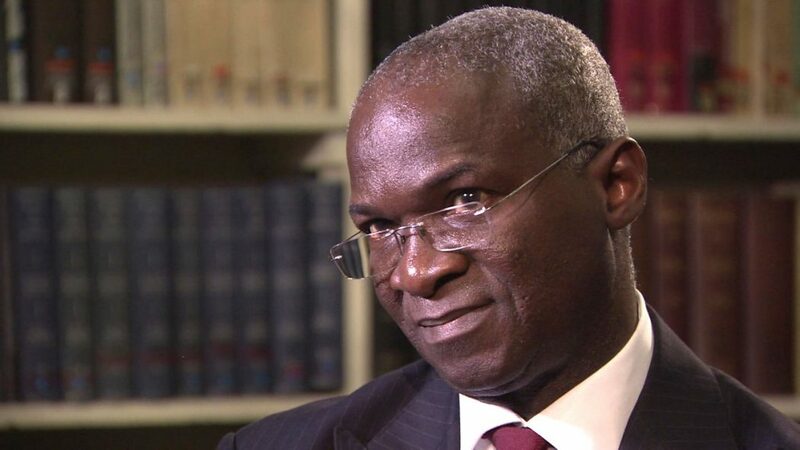 Fashola, the man with an omnibus portfolio, is working hard at it. He was reported to have told his Yoruba kinsmen recently that they should support President Buhari for another term so that they (the Yoruba), would take over the presidency in 2023. In like manner, Ngige was also reported to have told his Igbo brothers and sisters to vote massively for Buhari in 2019 so that the presidency will be ceded to them in 2023. By their statements, the ministers, literally, stirred the hornet’s nest. They did not allow the sleeping dog to lie. Consequently, they have been pummeled and buffeted especially by the amorphous crowd that populate the social media. The overall impression we get from the reactions and responses is that the two ministers struck the wrong chord. But I do not think that we need to fret over the partisan comments of the ministers. They are simply doing their job. They are trying to justify their hire. Perhaps what inflamed tempers was the 2023 angle to the gimmick. The ministers were certainly engaged in a gimmickry of sorts. They wanted to use 2023 as a bait. And this may have been responsible for the angry responses that trailed their remarks. Many, for instance, considered Fashola’s position provocative. He was reminded of the fact that it would be the turn of the south east to produce the next president of Nigeria once power shifts to the south. We know that Fashola is fully aware of this fact. However, when politics is involved, anybody can entertain his audience with any manner of sophistry. if Fashola believes that the Yoruba will be in contention when power returns to the south, we can only grant him the right to such delusion. There is no crime in aspiration. It is a legitimate quest. Therefore, Fashola and others who may entertain such bizarre feelings are free to dream dreams. But I have said it in this column before and it bears repeating that any south westerner who thinks that his zone can take a second chance at the presidency when the south east is yet to take one is an anarchist. Nigeria as a country will certainly not support such a destabilizing quest. Now to Ngige. The Labour minister also had a reason to say what he said. He has a responsibility to campaign for his master. But he has a more Herculean task than Fashola. Ngige comes from the zone that has been at the receiving end of the president’s parochialism and vindictiveness. Therefore, campaigning for Buhari before his kinsmen is a risky job. It can cost him whatever respect or reputation he has. He therefore needs to tread cautiously. But the minister got it wrong from the outset when he gave the impression that the south east can only have the presidency in 2023 if they support Buhari’s return bid in 2019. In so far as it is legitimate for Ngige to encourage his people to support his principal, it is disingenuous for him to tie their right to the presidency in 2023 to this support. By speaking the way he did, Ngige played into the hands of those south westerners who feel that they can join the fray when the time comes. Someone needs to remind Ngige that the fate of the Igbo in this matter is not in the hands of Buhari. The country does not belong to the president. He will play his part and quit the stage. The country will remain. It is not the president or his political party that will determine the fate of the Igbo. The Nigerian system will and this is bigger than what Ngige thinks or imagines. But then, there is a basic point those who are campaigning for the president are missing. They are not addressing the issue of the president’s misrule. The president has dragged the country backwards by several years. Someone needs to tell us how this can be mitigated under the same presidency. Should Nigerians just support Buhari for the sake of it? What do they stand to gain if they do? Nobody is addressing these issues. Even the man ought to step out himself to tell Nigerians why he should be reelected. The ongoing dumb discourse being inflicted on Nigerians will not work. Fortunately, their inability to address the issue of the president’s misrule and how it can, possibly, be remedied has opened an alternative door for Nigerians. The Peoples Democratic Party (PDP) which was practically hounded out of office almost four years ago has found its feet again. The party has cashed in on the failings of the All Progressives Congress (APC)-led government to rediscover itself. Even more fortunate for Nigerians is the fact that the PDP has provided Nigerians with a strong and workable alternative. The presidential ticket of the party being held by Atiku Abubakar and Peter Obi is a formidable one. It is easy for Nigerians to make a choice between this promising ticket and the one that has failed them. As a matter of fact, those who are fretting over 2023 need to apply the brakes. They are jumping the gun. They are operating on the assumption that things will remain the way they are at moment. It is wrong to approach our tomorrow with this fixated mindset. The Atiku presidency may have something in stock for Nigerians. The man has said that he will restructure the country. We should believe him. We should also give him a chance. If his government carries out the restructuring as he said he would, then there is the likelihood that things will not remain the same again. It is the new structure that will determine the way forward for Nigerians. We should crave for this restructuring rather than split hairs over 2023.